Lesley Visser is the most highly acclaimed female sportscaster of all-time. Her long and prestigious trailblazing career has seen her as the first and only woman to be recognized by the Pro Football Hall of Fame as the 2006 recipient of the Pete Rozelle Radio-Television Award which recognizes “long-time exceptional contributions to radio and television in professional football.” Pro Football Hall of Famer Troy Aikman said about Visser in his 2006 induction speech, “She brought respect and professionalism to the field of journalism for her work in print and broadcasting. It makes me proud to be in her company today.” Along with her NFL TODAY reporter duties, she also contributes to the network’s coverage of the NFL Playoffs and the NCAA Division I Men’s Basketball Championship and Final Four. In 2004 Visser became the first woman sportscaster to carry the Olympic Torch when she was honored by the International Olympic Committee being hailed as a “pioneer and standard-bearer” by the IOC. In 2009 she was voted the No. 1 female sportscaster of all time by the American Sportscasters Association. 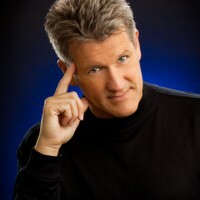 Visser is the only sportscaster in history who has worked on the network broadcasts of the Final Four, Super Bowl, World Series, NBA Finals, Triple Crown, Olympics, U.S. Open and World Figure Skating Championship. She served as lead reporter for the Network’s coverage of the NFL, teaming with CBS Sports’ No. 1 announce team of Jim Nantz and Phil Simms in 2004. This year she again is a part of THE NFL TODAY team. Visser worked her 30th NCAA Men’s Basketball Championship last March, having worked the tournament for the Boston Globe, ESPN and CBS. This past season marked her 35th year covering the NFL. 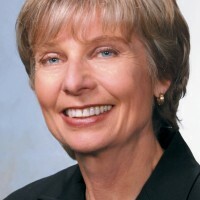 When Visser began covering the NFL for the Boston Globe in 1976, the credential often read, “No Women or Children in the Press Box.” She became the first woman to cover the NFL as a beat and remains the only woman to have handled the Super Bowl trophy presentation, for CBS in 1992 when the Washington Redskins beat the Buffalo Bills. Visser was honored with a Billie Jean King Award, the only Billie awarded for Outstanding Journalist, in 2008. She also was honored by the American Women in Radio and Television, Inc. in June 2006 as the first woman sportscaster recipient of a Gracie Allen Award which celebrates programming created for women, by women and about women, as well as individuals who have made exemplary contributions to the industry. In 2008, she became the first woman sportscaster to host the Gracie Awards. Visser also received the Emily Couric Leadership Award – previously given to Sandra Day O’Connor, Caroline Kennedy and Donna Brazile – and in the fall of 2008 was honored at the 22nd Annual Sports Legend Dinner, to benefit the Buoniconti fund to cure paralysis. In 2005 she won the Pop Warner female achievement award and was inducted into the New England Sports Museum Hall of Fame, along with Boston Celtics legend Bob Cousy and the 1980 United States Olympic Hockey team. Visser has been honored with the Compass Award for “changing the paradigm of her business” and was one of the 100 luminaries commemorating the 75th anniversary of the CBS Television Network in 2003. She was named “WISE Woman of the Year” in 2002 and voted the “Outstanding Women’s Sportswriter in America” in 1983 and won the “Women’s Sports Foundation Award for Journalism” in 1992. In 1999 she won the first AWSM Pioneer Award. 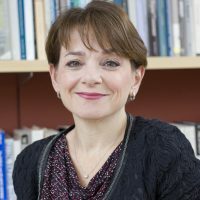 Visser earned her bachelor’s degree in English from Boston College and received an honorary doctorate of Journalism from her alma mater in May 2007. She was born Sept. 11 in Quincy, Mass. and resides in Bal Harbour, Fla. and New York City with her husband, Robert Kanuth.